Award-Winning Data Recovery Software For PCs. 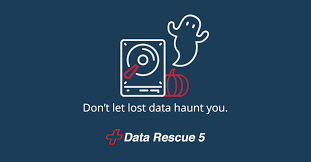 Data Rescue PC5 is the #1 Rated Gold Award Winner for PC Recovery Software by TopTenReviews, Editor’s Choice by PC Magazine and has a 5 star rating at Amazon. Recovery of Deleted Data from Any Devices! Recovery of files deleted from USB stick, hard drive or memory card is a highly demanded and expensive service. Lost data are often extremely important, and a user is ready to bear any costs to restore them. But is it really necessary to contact specialists for help? With modern software solutions, even inexperienced users can handle the task by their own! What we offer is a new software, DataRescueProfessional – a powerful, fast and efficient tool designed to recover deleted files. And you don’t need to have any special knowledge to use it! DataRescueProfessional easily finds and recovers files you need, but have lost for a variety of reasons. This is your emergency service ready to do all you need just with click of Next button. Recovery of files deleted after the recycle bin was emptied. Full disk scanning. Recognizing over 3,500 file types! It is much more than in other software products. Searching for files through disk image, searching for files in other files. Copying files from damaged disks. If your DVD or CD has scratches, copying files with standard tools often results in read error. Our software can bypass this obstacle and continues copying in spite of disk damage. File recovery from any devices that Windows OS recognizes as disk (USB sticks, hard drives, telephones, cameras, players). Support of main file systems: NTFS, FAT-12, Fat-16, FAT-32, ex-FAT. Support of operations with disks’ hidden partitions, as well as disks with no file system that Windows OS is unable to process. In any mode the software can work with damaged disks (physical damages, bad sectors, e.g., after fall or impact). You can look through the found files both in the tree view and broken down by types. User-friendly file preview: before recovery, you can view the files (photos as images). You can open any file in hexadecimal view, as well as the entire disk. Easy-to-use statistics on found files. User-friendly file search: you can search by name, by dates the files were modified or created, by size or attributes.